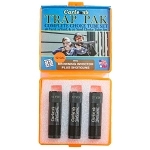 Carlson's New Ported Sporting Clays choke reduces recoil and at the same time reducing muzzle jump making follow up shots quick and easy. 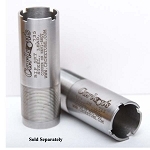 Manufactured from 17-04 stainless steel and precision machined to produce a choke that patterns better, with less recoil, than standard flush mount choke tubes. 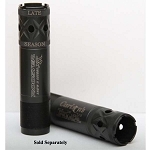 These chokes feature a 25% longer parallel section in the choke which allows for tighter, denser patterns, with less fliers, in other words, more pellets on target. 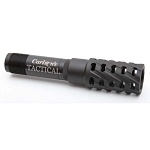 The extended portion of the choke tube allows for quick and easy removal and insertion. 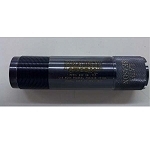 Lead, Copperplated, Nickel, Hevi-shot, Bismuth and tungsten may be shot through these choke tubes. 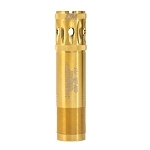 When using steel shot do not shoot steel larger than BB through any choke tighter than full. 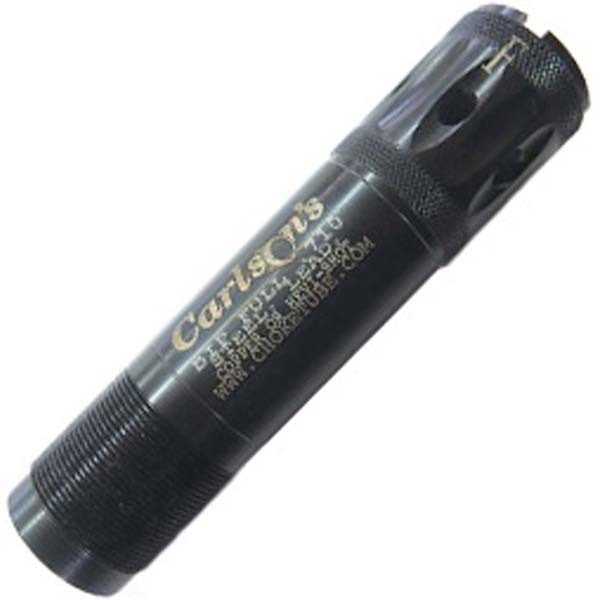 These choke tubes have a blue finish and carry Carlson's full lifetime warranty.